The new Domaine de Bellene was born in 2005, when some of the growers Nicolas Potel had been working with decided to stop their own production and proposed that he take over their vineyards. Nicolas saw this as the ideal opportunity to realize his long-held desire to control the entire production chain, from vineyard to market, in order to ensure the highest level of authenticity and quality. In 2006, Nicolas acquired the Domaine buildings and began renovating them according to very strict environmental standards. Nicolas takes environmental responsibility very seriously and it is integrated into all aspects of the estate: buildings, vineyards, cellar work, energy conservation and generation, and packaging materials. In the cellar, vinification is minimalist. Fermentation starts naturally, with indigenous yeasts. No enzymes, cultured yeasts or acid adjustments are used and filtration is avoided. During fermentation, no artificial light is allowed in order to minimize the loss of beneficial, light-sensitive compounds, such as resvératrol. 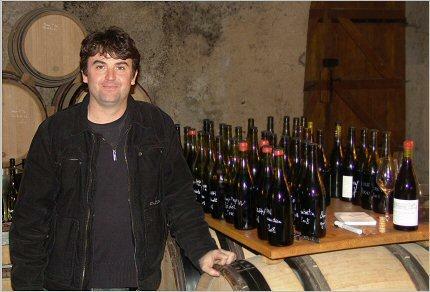 Nicolas Potel's goal at Domaine de Bellene is to produce pure, characterful wines that are clear expressions of their classic Burgundy terroirs. And he wants to do this in a way that works with nature as much as possible, with minimal impact on the land and the environment.